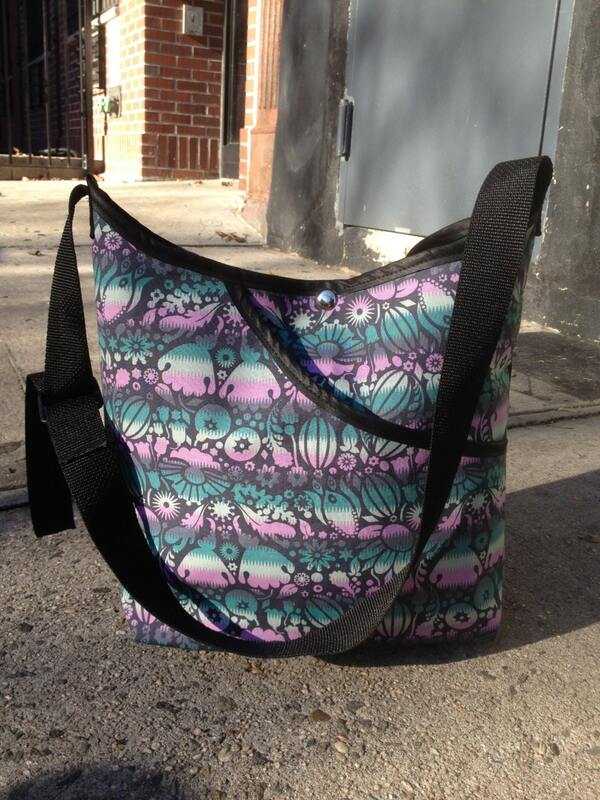 Our teal and lilac floral rainbow cotton print market bag is perfect for the girl or guy on the go! This bag is lightweight and sturdy and is lined with a water repellant canvas and has a large interior pocket and a larger exterior pocket, a snap closure and 1 1/2 " black polypro adjustable webbing strap. The adjustable strap makes this bag a practical carryall that you can carry over your shoulder, across the body, or even hang over the handles of your bike or a stroller. The beautiful floral cotton print incorporates the colors of teal, lilac, sea foam and grey. 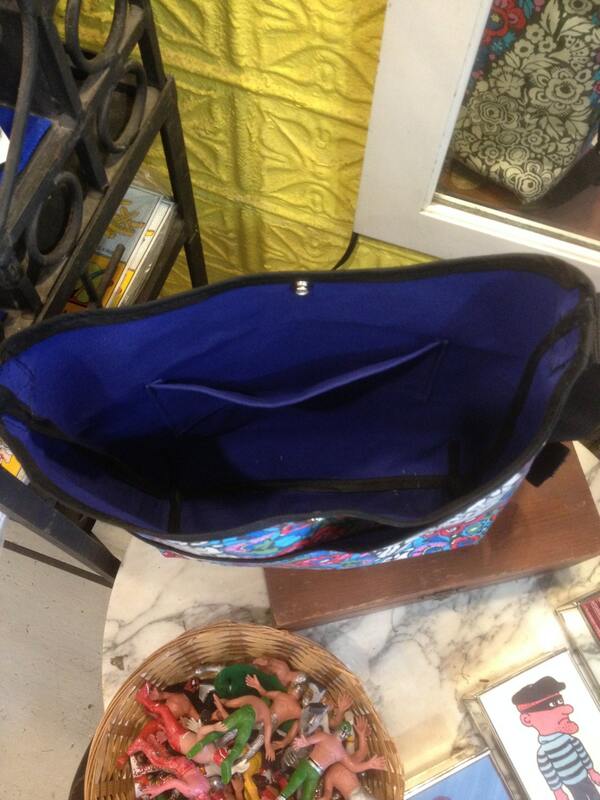 This bag is machine washable in cold water. line dry.